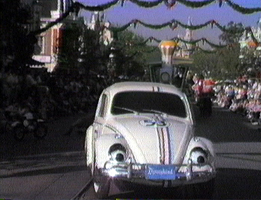 Herbie the Love Bug is also part of the parade (below, left), which didn’t look too much like a Christmas parade until midway through. 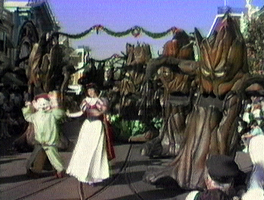 Snow White and the Seven Dwarfs are included as always, but are flanked by the menacing trees (below, right). 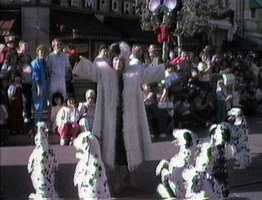 Representing 101 Dalmations we find Cruella de Vil joined by real dalmatian dogs, which run up and down the street (below, left). 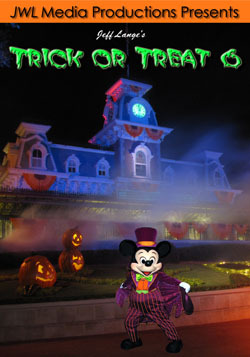 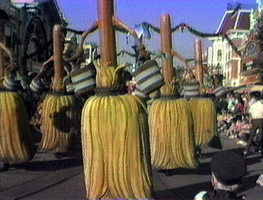 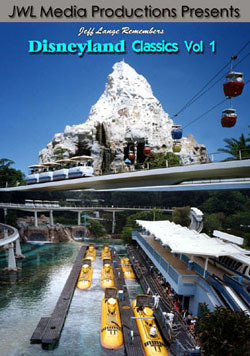 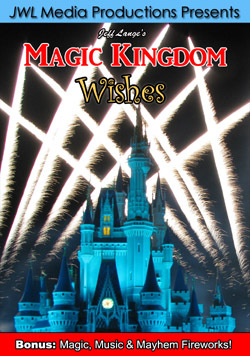 Sorcerer Mickey follows the brooms during the Fantasia section (below, right). 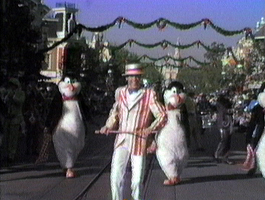 The Mary Popping section includes Bert dancing with his penguin friends (below, left). 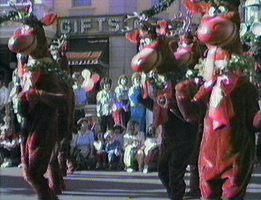 Mary is behind them with the chimney sweeps atop a rooftop float. 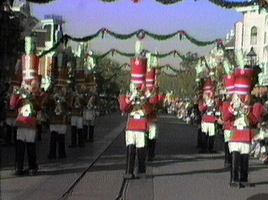 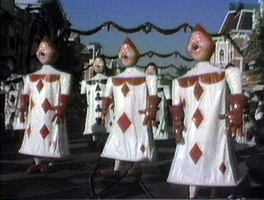 The Christmas portion of the parade starts with the recognizable toy soldiers (below, right). 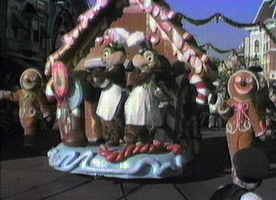 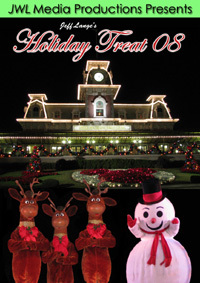 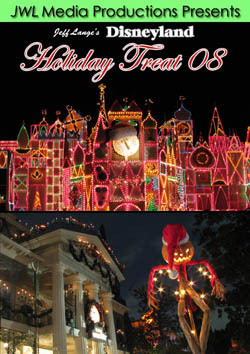 Chip and Dale are part of a gingerbread house float (below, left) and the old-style Disneyland reindeer prance down Main Street USA (below, right). 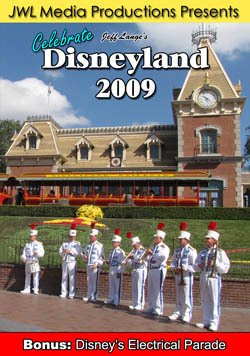 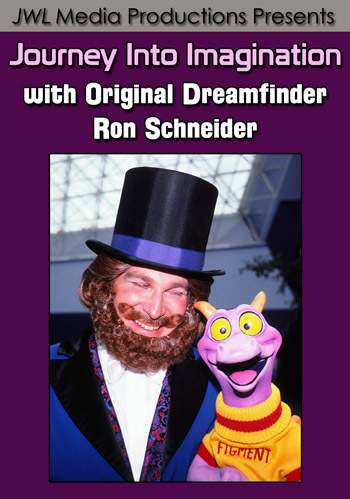 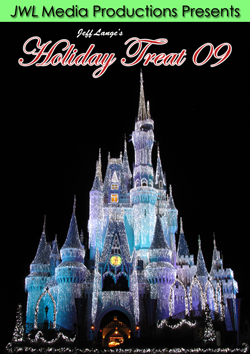 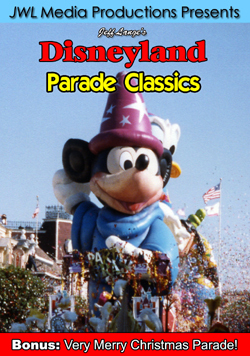 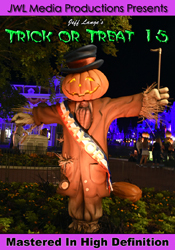 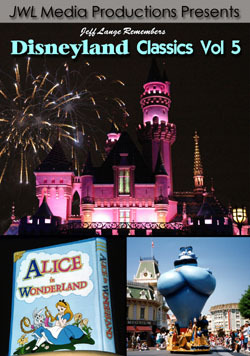 This is a unique and fun parade, and is much different than the wonderful A Christmas Fantasy Parade that is presented today! 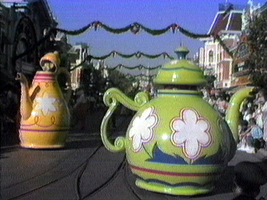 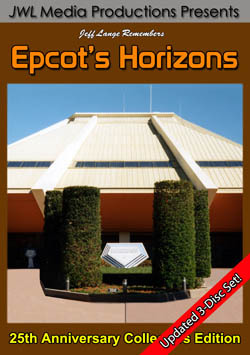 Special thanks to Bob Welbaum for contributing this great vintage 1985 footage included on the DVD (where these screen captures are taken from)!